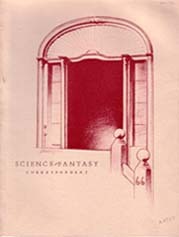 Other contributors included Forrest J. Ackerman (Imagination! 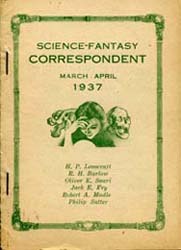 ), R. H. Barlow (Leaves), Robert Bloch, Arthur J. Burks, John Russell Fearn, Jack E. Fry, Raymond Z. Gallun, David H. Keller, Henry Kuttner, Robert A. Madle (Fantasy Fiction Telegram, Fantascience Digest), Oliver Saari, John C. Sidenius, Greye La Spina, Philip Sutter, and Jack Williamson. This page was last modified on 19 August 2011, at 18:53.